Whether you are a patient preparing for an inpatient hospital stay, or someone who’s loved one unexpectedly finds themselves in a hospital, having the right things for a hospital stay is important. Packing the right items will help make your stay less stressful and allow you to focus on your recovery. 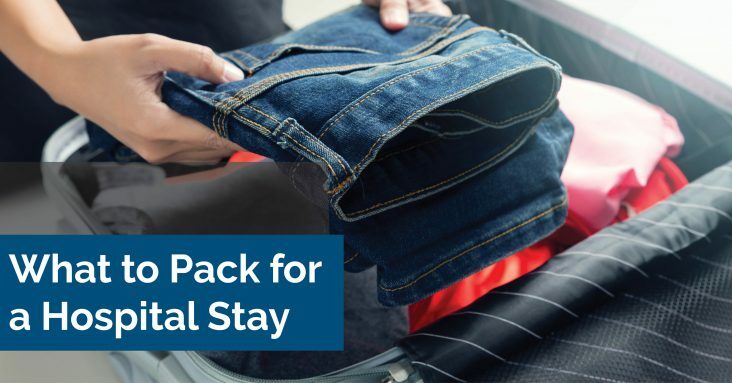 Below you’ll find a summary of suggested items to pack for a hospital stay. According to the Centers for Disease Control, the 2017-2018 flu season was one of the worst. 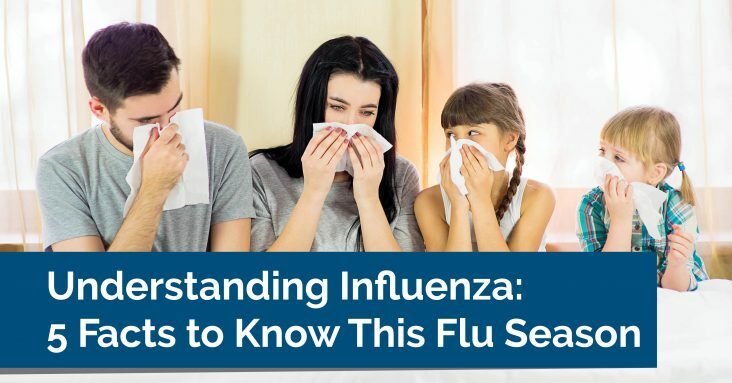 Understanding Influenza – how it’s spread, how to prevent it, and the symptoms of the flu – can help keep you, and your community healthy this winter. Below are five flu facts to know as we enter flu season. Can a flu shot give me the flu? The Influenza vaccine is safe and cannot give you the Flu. It takes 2 weeks to build up your immunity, so you can contract the flu before developing the antibodies. How is the flu spread? Influenza is a contagious respiratory virus that spreads when you are exposed to an infected person that coughs or sneezes. It can also be spread by touching your nose, mouth or eyes after touching a surface with the virus on it. There are several things you can do to keep yourself flu-free! The most important step you can take is to get a flu vaccine each year. You can also help prevent getting the flu by frequently using hand sanitizer or washing your hands. Try to avoid touching your nose, mouth or eyes. Avoid spreading the flu by covering your coughs/sneezes and by staying home if you are sick. Additionally, be sure to keep surfaces in your home clean. Symptoms usually start 1-4 days after exposure and usually come on suddenly. You are most contagious in the first 3-4 days after the illness starts. However, you can infect others before you are symptomatic and up to a week after becoming sick. Flu symptoms can range from mild to severe. They can include fever, headache, fatigue, runny or stuffy nose, body aches, sore throat, cough and chills. Seek medical care for any worsening symptoms. What is the treatment for the flu? Rest, pain relievers and extra fluids will help to lessen your symptoms. While antibiotics are not effective for the flu, there are prescription antiviral medications that can help to lessen the symptoms and shorten the duration. But, they must be started within 48 hours after onset. Caregivers often hide in plain sight. They make up a substantial portion of the United States population. 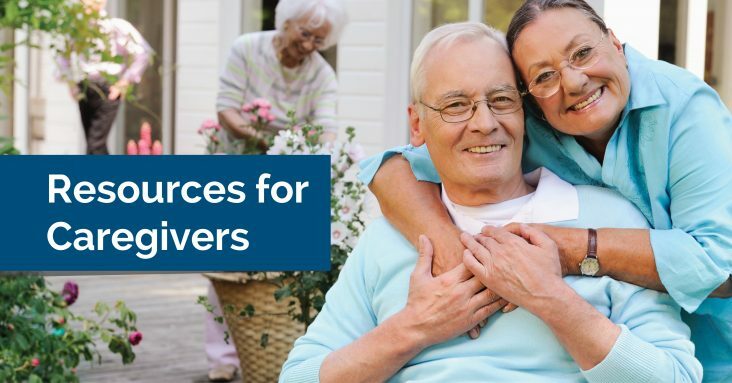 In the US alone, there are over 40 million unpaid caregivers for adults over the age of 65. We tend not to realize the strain put on an individual who cares for a loved one. Instead, we see only the selflessness with which they provide care. Unfortunately, there’s often more going on than we recognize. If you provide care for a veteran, the Veterans Administration has a number of resources available to you. Services offered include mentoring, diagnosis-specific tips and guidance. Additionally, help is available to care for your loved one so that you have time to care for yourself. Many of these services are provided at no cost. Hospitals often host support groups on a variety of topics. Some are diagnosis-specific. Others focus directly on caregivers. It can be quite helpful to connect with individuals who have had similar experiences to yours. Contact your local hospital to find out what support groups they host and when they meet. As a caregiver, it’s important not to neglect yourself. The resources above offer support so that you can care for yourself, too. Additionally, you may speak with your healthcare provider for more resources. Remember, taking good care of yourself is part of providing care to another! Every 40 seconds, someone in the United States suffers a stroke. Every four minutes, someone dies. Stroke is the fifth-leading cause of death in the United States, responsible for about one out of every 20 deaths. As many as 80% of strokes may be preventable. But if someone is suffering a stroke, one of the most important factors is time. 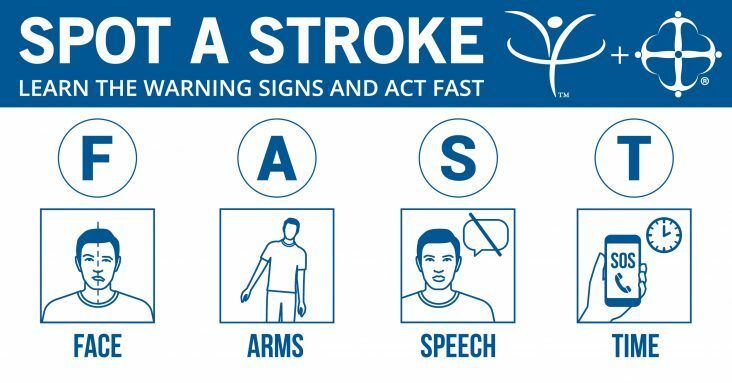 Knowing the signs of stroke, and what to do in that situation, could save a person’s life. All you need to remember is F-A-S-T.
Look at the person’s face. Does one side droop? Do they feel numbness on one side of their face? Action item: Ask the person to smile. Is their smile lopsided or uneven? Does the person feel numbness or weakness in one arm? Action item: Ask the person to raise both arms above their head. Are they able to lift both arms? Does one arm drift downward? Is the person making sense when they speak? Are their words slurred? Action item: Ask the person to say a simple sentence, like “The sky is blue.” Can you understand what they say? If any of these symptoms are present, call 9-1-1 immediately. Tell the operator you think someone is having a stroke. Do this even if these symptoms disappear. Time is critical, so it is important to get them to the hospital right away. Be sure to note the time when the symptoms appeared. It’s that time of year again…flu season. With the constant risk of catching the virus, educating yourself can be the key to being flu-free. The flu typically is spread when someone who has it coughs, sneezes, or talks. Droplets from his or her mouth spread to the mouths or noses of people nearby. Additionally, you can catch the flu from touching an object that has flu germs on it, and then touching your mouth or nose. Once flu germs get inside the body, they go to the respiratory system. There, they attach to those cells, essentially turning them into more flu germs. That’s when your immune system begins to fight back. It does so by creating two different proteins that attack the virus – cytokines and chemokines. Cytokines multiply to help fight off the virus. Chemokines create white blood cells (called T cells) to help fight against the virus, as well. Eventually, the fever that comes along with the flu is your body’s way of killing off the virus. As it turns out, many symptoms you feel from the flu aren’t the virus itself. Rather, it is your immune system working to fight it off. Get a flu shot. This vaccine is the number one way to keep the flu out of your body. You’ve heard it before, and you’ll hear it again: wash, wash, wash your hands. When you wash your hands, you wash flu (and other) germs away, limiting your risk of catching them. Last, keep the surfaces clean in your house to help remove any flu germs. Who among us hasn’t suffered the nuisance of a minor pain now and then? Usually, we can find quick relief with over-the-counter medications. But for those with chronic pain, stronger painkillers like opioids may be prescribed. Americans have increasingly been prescribed opioids – painkillers like Vicodin, OxyContin, Opana, and methadone, and combination drugs like Percocet. The use of these prescription drugs has quadrupled since 1999, although there hasn’t been an increase in the amount of pain Americans report. In 2012, health care providers wrote 259 million opioid prescriptions. That’s enough for every adult in the United States to have a bottle of pills. In response to this growing opioid epidemic, the Centers for Disease Control (CDC) released opioid prescription guidelines recognizing that opioids are appropriate in certain cases such as cancer treatment, palliative care, end-of-life care, and in certain acute care situations – if properly dosed. But for other pain management, the CDC recommends non-opioid alternatives such as physical therapy to cope with chronic pain. 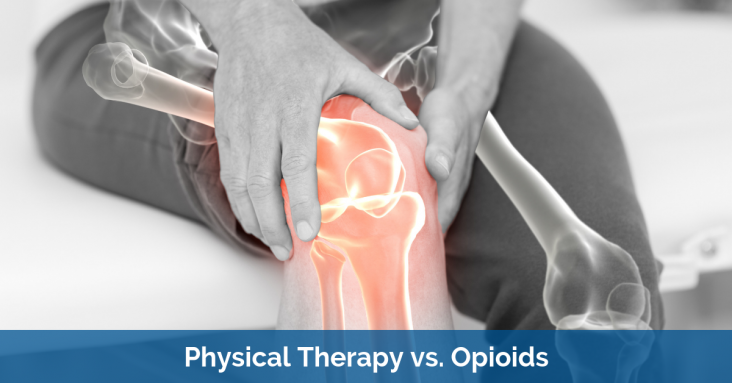 Physical therapy is a safe and effective way to treat long-term pain. Physical therapists can provide evidence-based treatments that help not only treat the pain, but the underlying cause of the pain. They can provide exercises that focus on strength, flexibility, posture and body mechanics. Strengthening and stretching parts of the body that are affected by pain can decrease the pain, increase mobility, and improve overall mood. So before agreeing to an opioid prescription for chronic pain, consult with your physician to discuss your options for a non-opioid treatment.